THE TIME IS NOW! 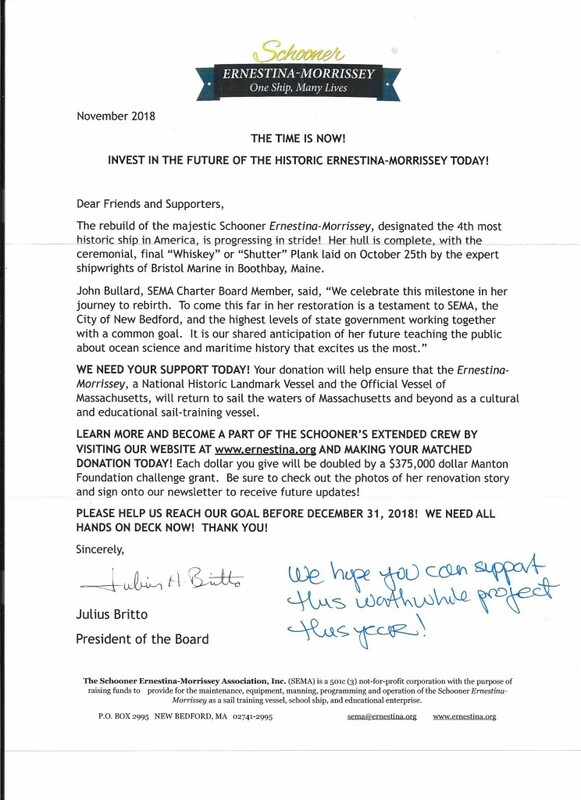 INVEST IN THE FUTURE OF THE HISTORIC ERNESTINA-MORRISSEY TODAY! Ernestina-Morrissey is IMPORTANT! Check it out! and Donate Here!